It's the time of year when we celebrate love - and love of travel. We've hand-picked our favorite travel experiences for treats, pampering, romance, the good life, and celebrating traveling with everyone in our lives we love. Beginning with... the most Romantic river cruise in Europe: Castles and wine and lovers' legends, oh my! 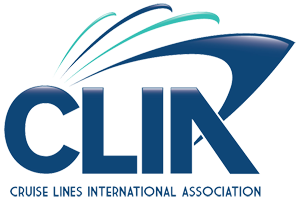 Lynn Elmhirst, producer/ host and cruise expert of BestTrip.TV, explains how 'The Romantic Rhine' weaves a perfect romance of Northern European culture for river cruise travelers to watch, listen, and taste. 40 castles in 40 miles. There's a castle or fortress, those ultimate symbols of the Middle Ages celebrated in fantasy literature, nearly every mile. That stretch of river known as the Middle Rhine has a higher density of castles than any other river valley in the world. Since the 19th century, it's been known as 'The Romantic Rhine' and is now a UNESCO World Heritage Site. 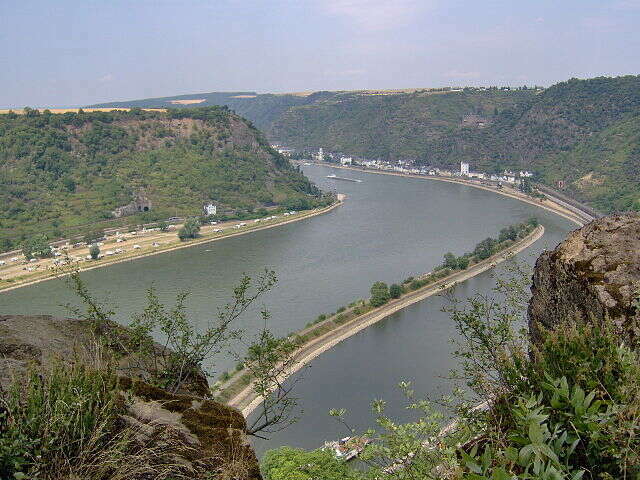 For two millennia, the Rhine was one of the most important routes connecting Southern with Northern Europe. 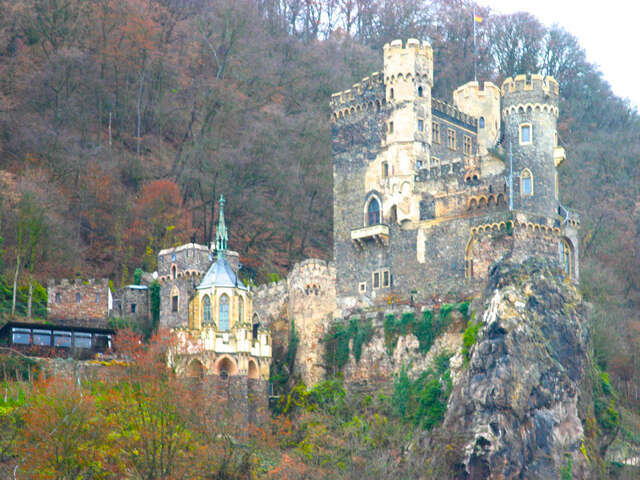 Castles for security and to control the river commerce were built on hilltops facing the river, and now, a river cruise is really the best and most authentic way to immerse yourself in the Romance of some of the best historic scenery in Europe. Travel Tip: during the ship's passage along this stretch, make sure you find yourself a central position so you don't miss the castles on both sides of the banks. Then you add wine. 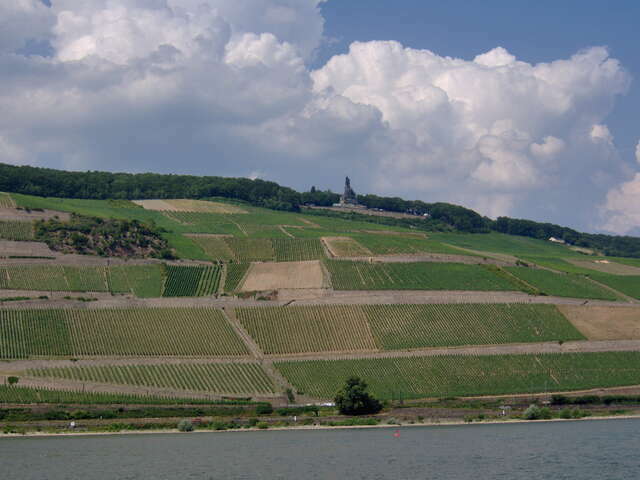 The gorges rising on either side of the Middle Rhine are lined by some of the steepest vineyards in the world. Over a thousand acres of vineyards thrive in a microclimate shaped by the river's topography (in fact, most of the wine regions of Europe line its rivers). In other wine regions and wineries, hand-picking grapes is preserved for only elite wines. On the nose-bleed-steep banks of the Middle Rhine, handpicking is the usual – and only practical - practice. And yet the famous white wines – predominantly Rieslings, both dry and sweeter versions - of the Middle Rhine are still very affordable. Tastings are one of the best activities in the picturesque towns that line the narrow river banks. Travel Tip: buy your favorite to take back to your river cruise ship to fully immerse yourself in the joys of the Rhine as you sip on the top deck as you sail past the scenery. A 433-foot, steep slate rock formation on the very edge of the river bank of the Rhine Gorge has been the source of legend for centuries. The Lorelai's name is ancient, coming from the old German word 'lureln' for 'murmuring', and the Celtic word 'ley' meaning 'rock. The combination of heavy currents swirling round the bend, a small waterfall (up until the early 19th century) and an echo effect of the rock itself amplifying those sounds made Lorelai an actual auditory experience (til development nearby in modern times drowned it out.) No wonder the myths began: dwarfs living inside the rock, a murmuring siren luring sailors onto rocks… But the story that stuck came from a poem telling the tragic lover's tale of the beautiful Lorelai being taken away to a nunnery, and, thinking she sees her lover in the Rhine below, throws herself into river to her death, where to this day, the looming rock murmurs an echo of her calls. 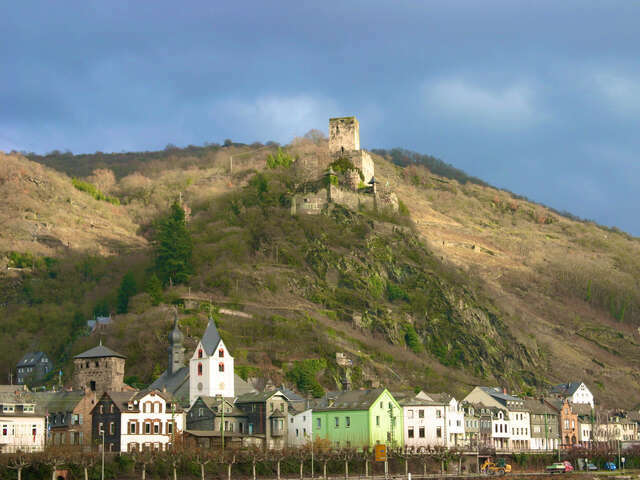 Travel Tip: pay homage to the Rhine's 'murmuring rock' by downloading the compositions by Schumann, Mendelssohn or Strauss that immortalize Lorelai in music to listen to on your magnificent Romantic Rhine river cruise.